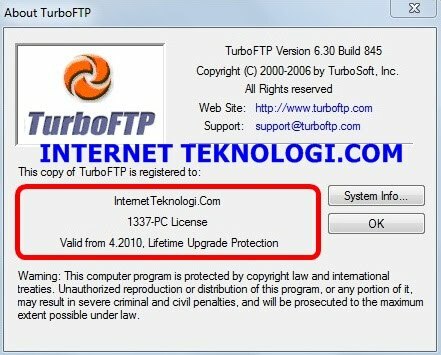 TurboFTP adalah Software FTP yang terjamin keamanannya (mendukung FTP melalui SSL / TLS dan SFTP atas SSH2) untuk Windows 9x/ME/NT4/2000/XP/2003, sesuai dengan namanya Turbo FTP dapat mentransfer file (upload atau download) dengan kecepatan turbo ke hampir semua server FTP. 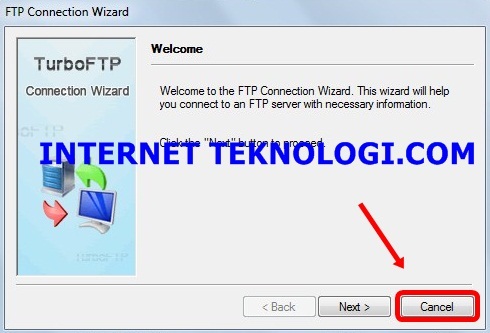 Dengan antarmuka pengguna yang intuitif, banyak fitur dan transfer file yang aman, TurboFTP adalah Software yang tepat untuk mengelola situs Web anda. [+] Added [Options | General | Back up old log files]. [-] A problem in SSL data channel might cause program crash. [-] 64-bit TurboLogviewer doesn't show scrollbars after opening file. [-] In Windows Vista and above Sync Service is not notified of change of credentials for accessing network share. [-] When [Schedule Task Settings | Advanced | Wait until program terminates] disabled, external program execution is always reported failed. [-] Incorrect file access error code. Firewall support, including HTTP proxy, SOCKS 4, SOCKS 4a and SOCKS 5.
including implicit and explicit SSL. Support client certificate. 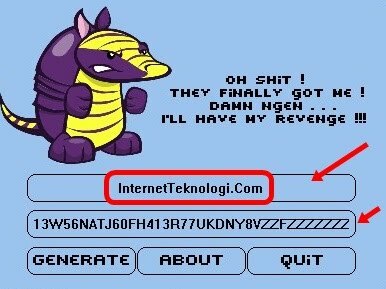 Support SFTP (Secure File Transfer Protocol) over SSH2. OTP S/Key (MD4, MD5) password encryption. Strong interruption and stall protection and Auto Dial. Auto reconnect and broken transfer resume. Passive mode support, configurable for individual site. Anti-idle mechanism prevents connection time-out. Remember recently connected sites for quick access. Run programs before and after a schedule task. Use different dial-up connection for individual site. Comes with a log file viewing tool - TurboLogViewer which offers many handy features like collapsing/expanding log sessions, syntax highlighting, bookmarking etc, all making viewing and analyzing log file much easier. Support Regular Expressions as include/exclude filters in synchronization. A powerful Upload Wizard allows you to upload files right from Windows Shell using Shell context menu. Windows XP compatible and XP theming. Drag and drop to download/upload files; drop to sub-folders. Multi-language support (allow to switch interface language without restarting the program). 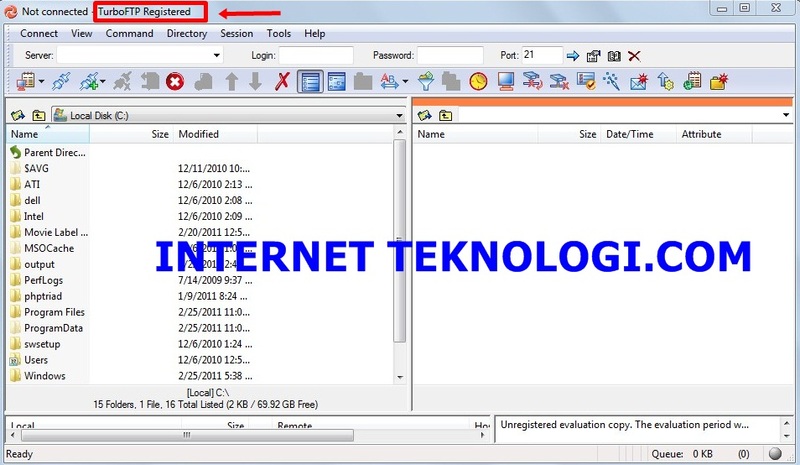 Show directory information (number of selected files and all files, total size and free space) in real time. Site Address Book - sites organized in a tree structure. Easily organized with drag and drop, copy and paste. 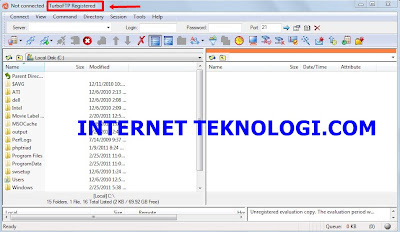 Can import site information from CuteFTP, WS_FTP, Bulletproof FTP, LeapFTP and FTP Explorer. Support all formats of CuteFTP site information data file and can import passwords - tree.dat, smdata.dat, SM.dat. Stored login passwords are encrypt. Folder Synchronizer provides visual comparison of local and remote directory structures, where files to be transferred, updated or removed are clearly marked with action icons based on the selected Synchronization Scheme. After review and necessary modifications you can then update destination directory, including any sub-directories with one click. Basic Auto Upload. Monitors a local folder and upload any new files that arrive in it. Support on-the-fly data compression using MODE Z. Simple local and remote directories compare. Bookmarks - one-click access to any local/remote folder. Automatic upload/download filename case conversion and Auto Rename. Recursive delete of remote directory. Automatically and correctly resolve unix links. Support UNIX, UNIX-compatible, DOS-style, VMS, VAX, OS/2, AS-400, Novell Netware (v4 and onwards), VxWorks and Apple OS FTP directory listing. Manually execute your own commands on remote server. Automatically send user-defined FTP commands after logon. Directory listing filtering that allows you to ignore files by directory or wildcards. Show Owner and Group information of remote listing. Report total size and number of files in a directory and all its subdirectories. Show server file time in local time zone according to specified time offset. Group select of files using wildcard. Remote file attribute modification (CHMOD). Remote editing - edit and update web page online. Recursive directory upload or download. Scheduled transfer support, featuring comprehensive scheduling options and scheduled automated File Synchronization. Only download/upload files that are new or updated, delete downloaded files from remote server, etc. Ideal for automated file backup and mirroring. Built-in Schedule Sync Task Wizard makes creating a complex sync task a breeze. Send E-mail report upon schedule task complete (support multiple recipients). A transfer queue that can handle files to/from any site and any directory. Ability to preserve server file time on downloaded files. Ability to transfer files larger than 4Gb (available on NTFS file system). Resume download/upload. Option to use APPE to resume uploads. Download/upload speed limits - reserve bandwidth (for e.g. web browsing) while transferring files. Upon transfer complete automatically hang up modem or shut down/ log off computer. Select servers in Address Book to expand queued upload list to multiple servers. Compress and decompress files and folders right within the program. Direct access to virtual folders (e.g. Desktop, My Documents) and network folders. Integrated Windows Explorer context menu. Store individual user data separately. Option to delete to the Recycle Bin. 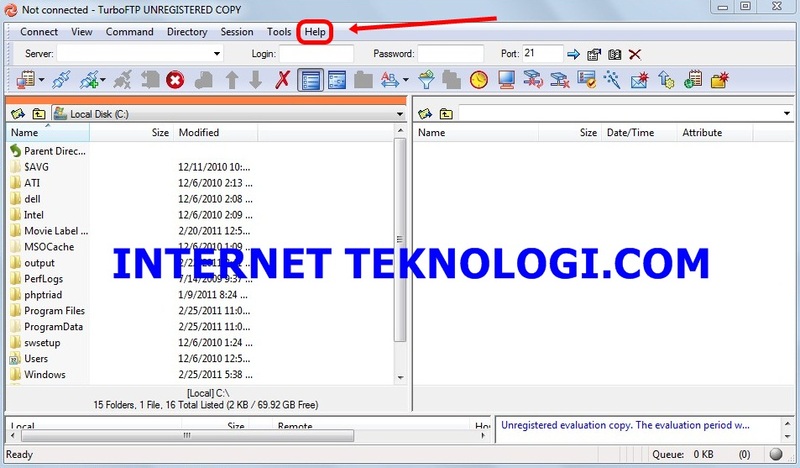 Disitusnya untuk mendapatkan yang Full Version anda harus membayar sebesar $59.95 ,Tapi Di InternetTeknologi.Com anda akan mendapatkan secara Gratis. 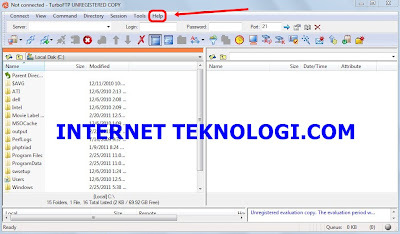 Extract , Install File bernama turbo ftp sampai selesai. Pastekan Nama dan serialnya dari Keygen tadi. Untuk cara menggunakannya sama seperti Software Klien FTP lainnya. 1 orang berkomentar on "Download TurboFTP V 6.30 Build 845 Terbaru Full Version"